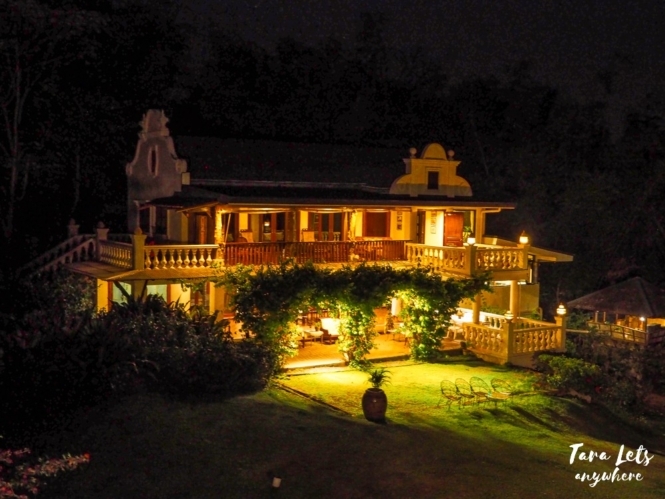 Is this the most beautiful vacation house in Batangas? That was my first thought when we entered the gates of Ataalaya Farmhouse in Alitagtag, Batangas. 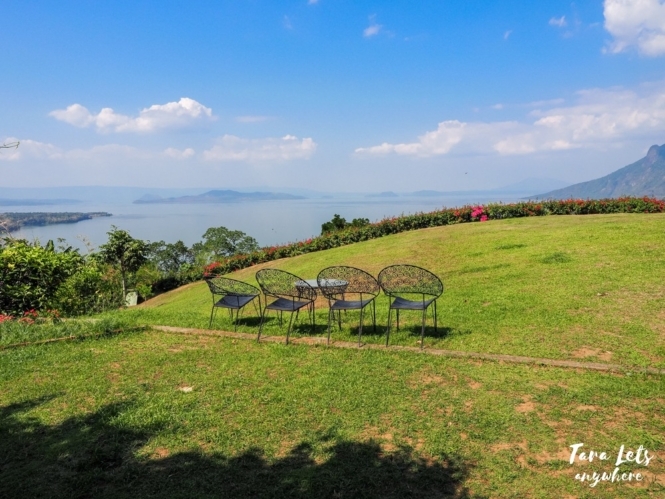 Ataalaya Farmhouse is a 5-hectare private farmhouse surrounded with lush forests and featuring amazing views of Taal Lake and Mount Maculot. 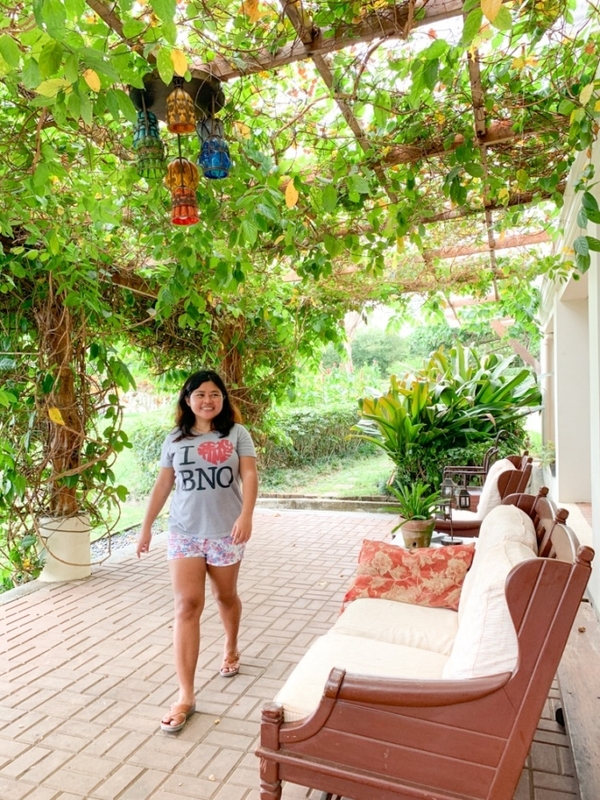 It has a plantation where you can see vegetation and animals, a hidden bamboo garden and nice (read: very Instagrammable) amenities such as outdoor jacuzzi and bath tub with a view. 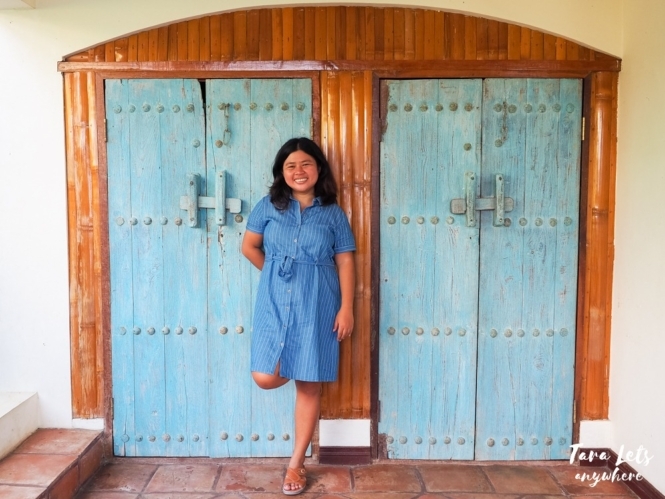 Here we’re going to tour you around Ataalaya Farmhouse in Alitagtag, Batangas! I actually found out about Ataalaya Farmhouse from another blogger I’m following. I was supposed to go here with my boyfriend Hali but he got pulled from work, so instead I invited another friend — Jona of Jona Shares. Jona and I met up at Sta. Cruz/Cuta East in Batangas and took a tricycle to Ataalaya Farmhouse. The moment we entered the gates, we uttered a “Wow”. 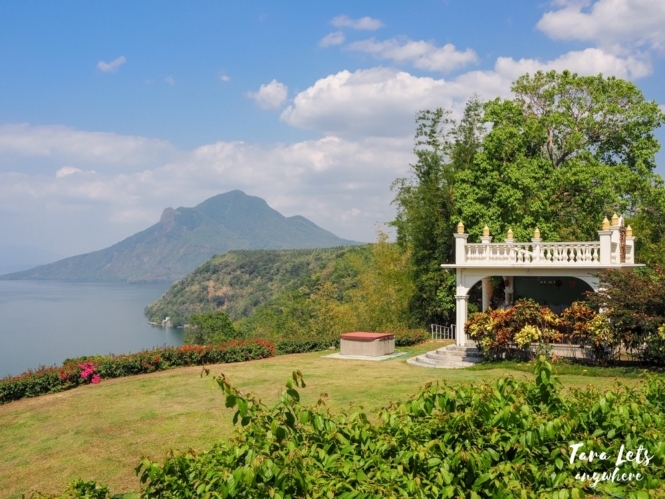 The farmhouse is located on top of a hill and as such we were immediately greeted with a grandiose view of Taal, the volcano island. On the right side, we could also see Mount Maculot. 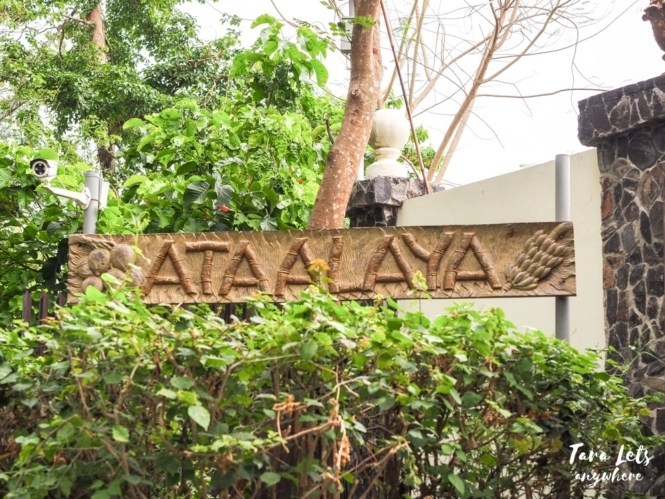 The name Ataalaya actually came from “Atalaya” (Spanish for lookout point) and “Taal”. 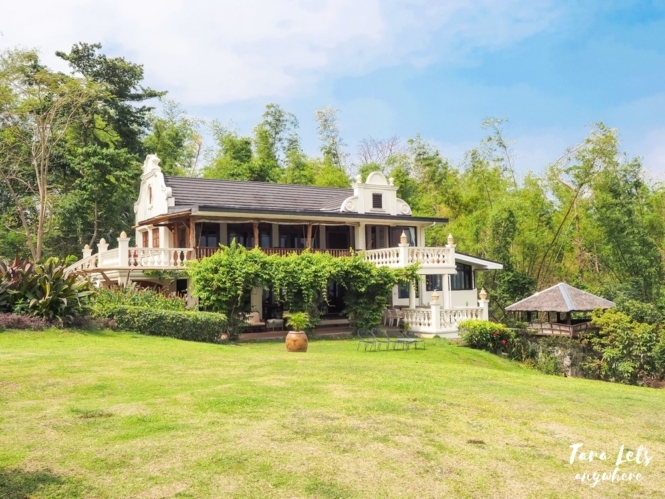 The farmhouse is a 2-story building with Cape Dutch, Indian and traditional Filipino design. 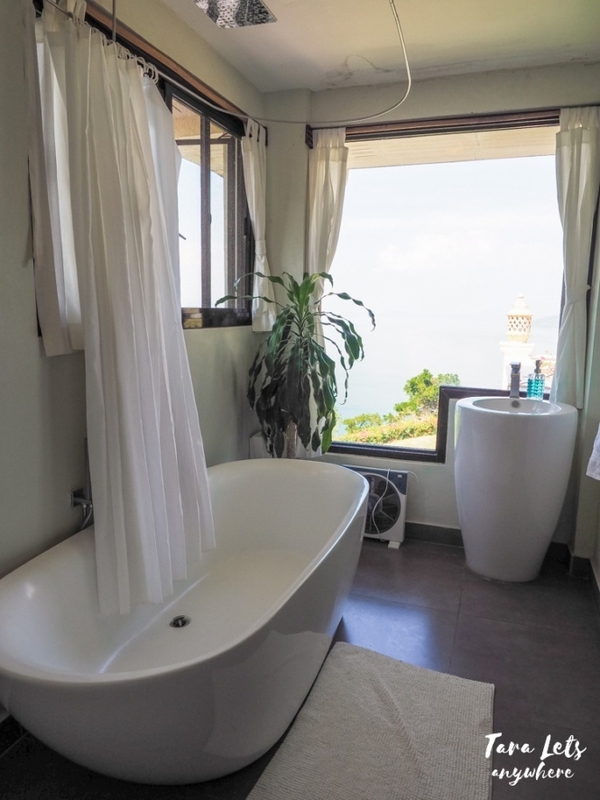 It has 3 bedrooms available for guests, a living room, 2 bathrooms (one with a bathtub facing a glass window with a view of Taal), kitchen and alfresco dining & lounge areas. 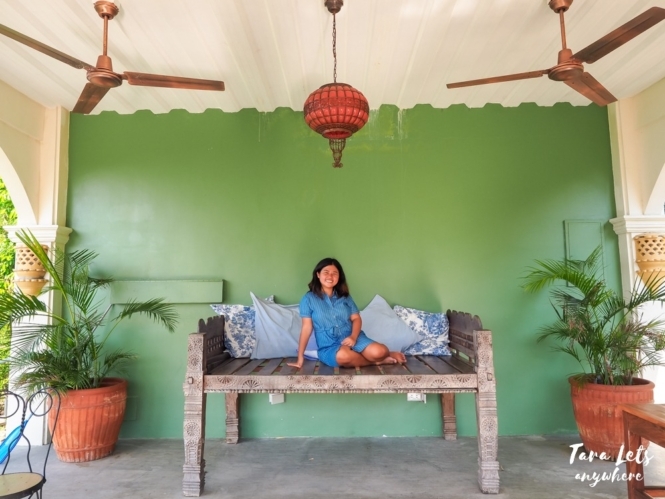 It has a colonial ambiance but also have that cozy, homey feel which makes it an ideal place for staycation. 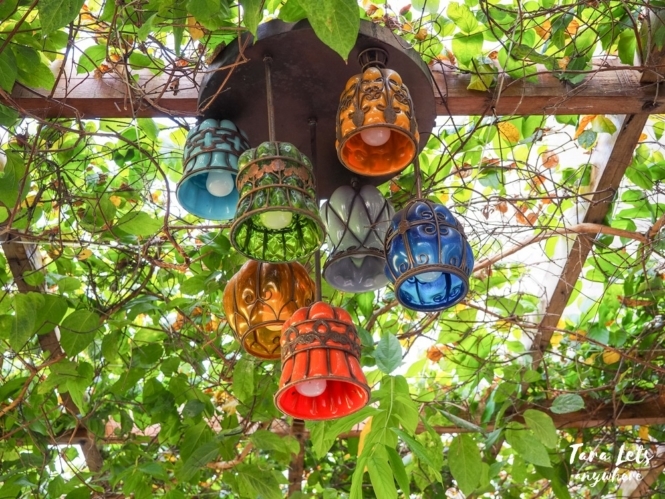 A lot of the items that can be found in the farmhouse are souvenirs from travels of the farmhouse’s owners, which is why you can find unique “treasure” boxes, music instruments and paintings. 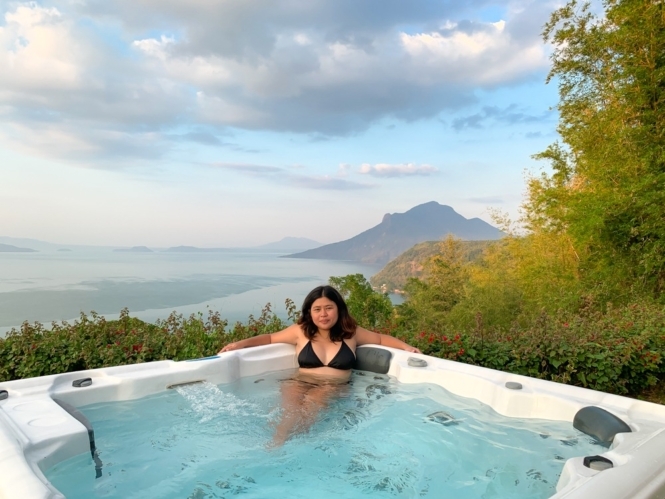 The farmhouse also has a pavilion and — wait for it — an outdoor jacuzzi where you can relax, enjoy the beautiful views or (if you’re like us) take a million pictures for the gram. In one of the balconies. Bath tub with a view! This is my favorite part of the house. Jona and I toured the farmhouse. 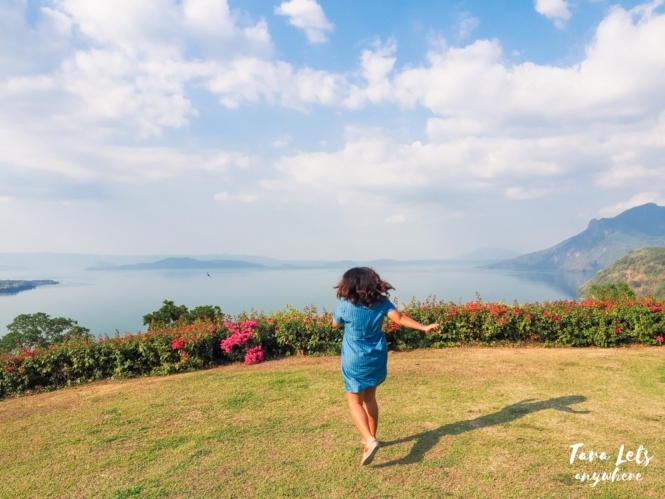 I love how huge and sunny the grounds is, the rolling hill landscape, the view of Taal Lake and Mount Maculot which I could never get tired of. Once we got settled, we went to try out the outdoor jacuzzi. The caretaker suggested we go there during sunset since the water is warm and we’d be witnessing the glorious shades of sunset all around us, and that’s what we did. Here are some (or a lot) of photos that we took. Mount Maculot in the background. Photo by Jona Shares. You know what’s the only thing that’s missing? Wine. We should’ve brought wine. The water was indeed warm and we enjoyed just sitting there chatting and enjoying the view. 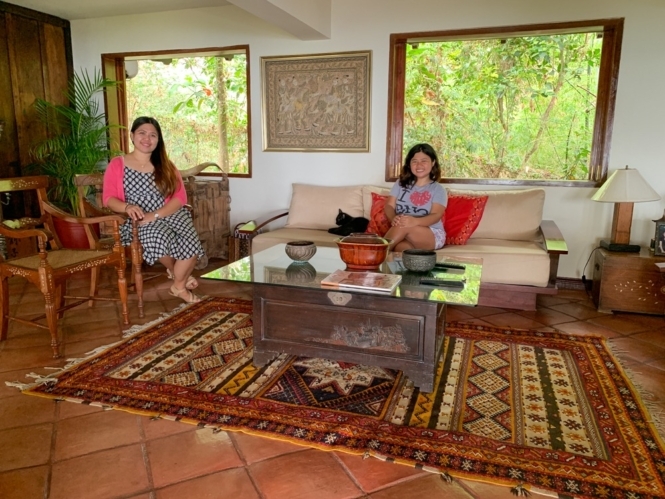 (I actually hadn’t been on a trip with Jona except for our overnight stay in Lily Vacation Farm House, so it was a good opportunity to get to know each other.) 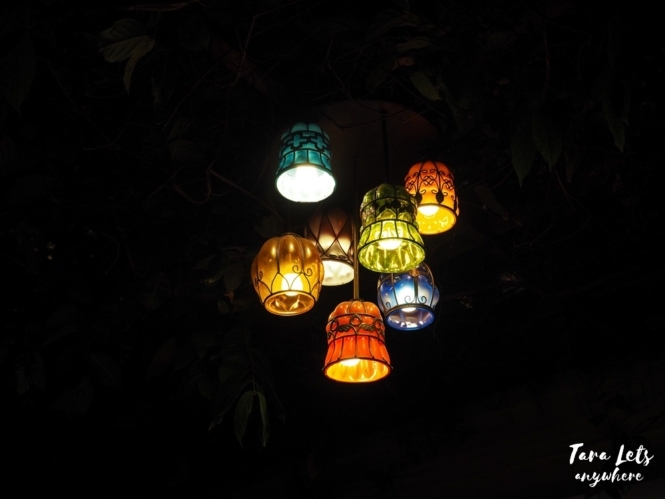 At night, the lights had been turned on and it was so beautiful. Whether you’re with a friend or a partner, this setting is perfect. Our caretaker announced that dinner was ready so we got out of the tub, shivering. Only breakfast is complimentary for guests at the farmhouse, so for dinner we asked the caretaker to cook for us. We had sinigang and grilled tilapia. The tilapia was fresh and delicious, and apparently it’s one of the recommended food to buy in Batangas (tip: ask for tilapia from Taal or Talisay). After the dinner, I soaked myself in the hot bathtub. While I didn’t get to see the view outside since it was already dark, I was relaxed and soothed by the warm water. Seriously, I love this farmhouse. 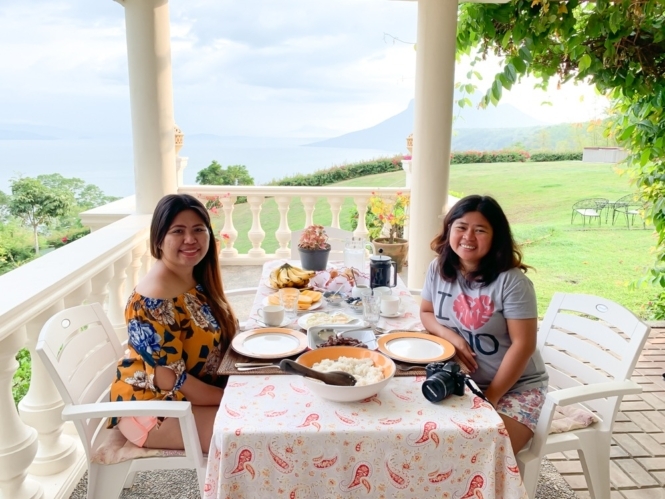 The morning after, we had a delightful breakfast consisting of eggs, tapa, bread with mango and orange chutney and fresh fruits. Kapeng barako was also served in the table. Again, the food and the outdoor setup was perfect. Good breakfast, nice view, fun company. This staycation is complete! 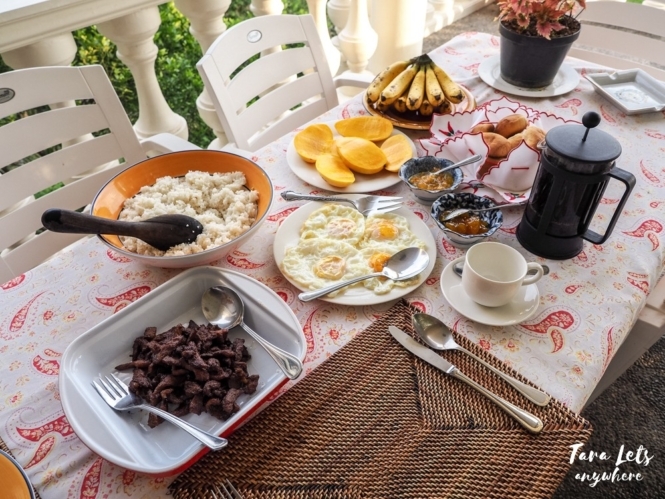 Breakfast: rice, tapa, egg, bread and chutneys, fresh fruits. Kapeng barako is also given. We then visited the farm just across the property. 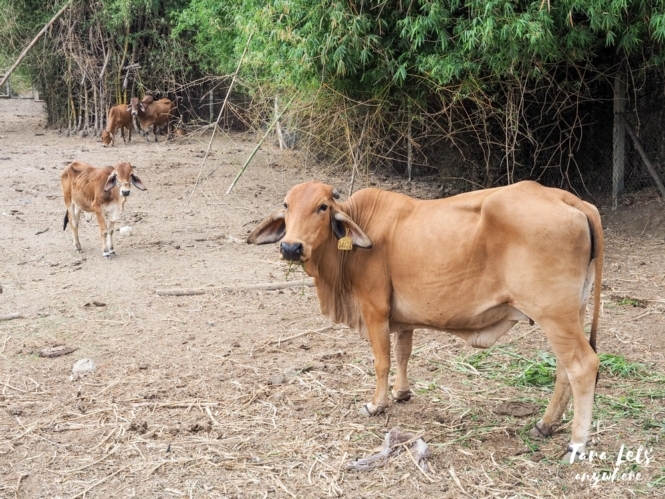 There’s an ongoing construction for a storage facilities, but we did see the plantation and some of the animals including chickens, cows and pigs. It was nice seeing that the cows have a wide space to roam. One cow was particularly friendly so I took the liberty of feeding it fresh leaves. After that, we went back to the farmhouse and simply relaxed until our hired tricycle fetched us back to the town proper. Overall, I love everything about Ataalaya Farmhouse. It’s probably the most beautiful private rest house I’d been to in Batangas. 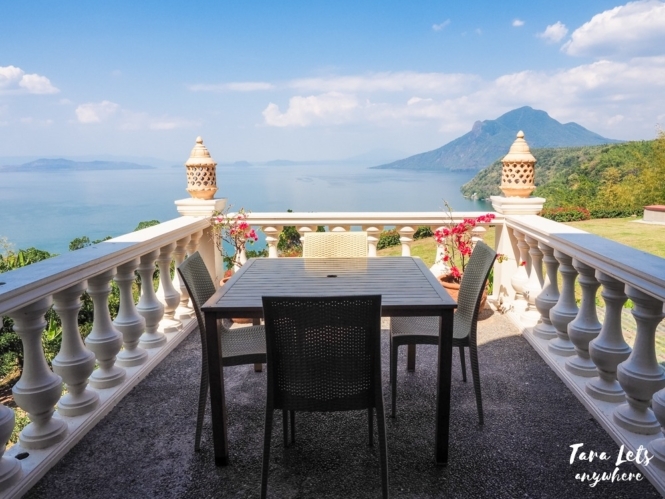 The design of the house, amenities and the gorgeous views are simply amazing. 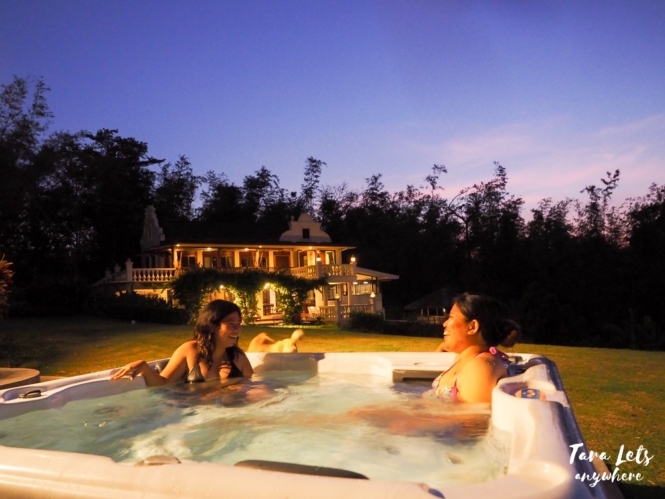 It’s perfect for unwinding or bonding with family, friends or romantic partner. I learned that it’s also a popular venue for pre-nup shoots and other events. I highly recommend booking your stay here at Ataalaya Farmhouse. From Buendia or Alabang, board a bus en route to Lemery or Batangas Pier/Lipa. If the bus is headed to Lemery, drop off at Sta. Cruz/Cuta East. If Batangas Pier or Lipa, drop off at Tambo/Lipa City. From there, take a jeep with signboard Lemery and drop off at Sta. Cruz/Cuta East. From Sta. Cruz/Cuta East, there are tricycles to Ataalaya Farmhouse (P50 one way). From Alabang, travel time to Ataalaya Farmhouse is 1.5 hour. 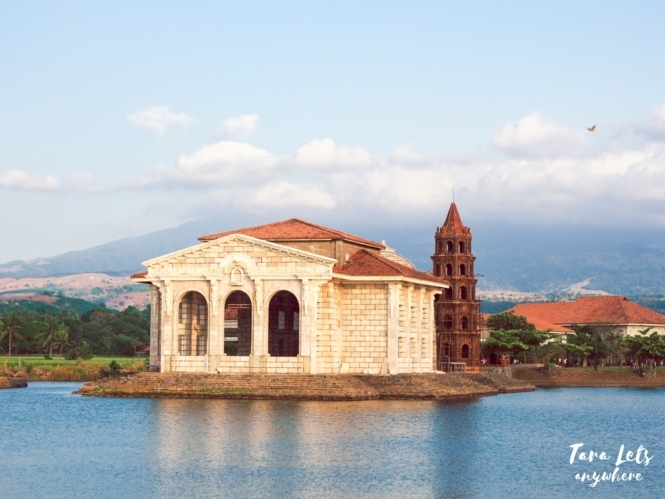 Round-trip fare is about P400 for 1 person. Weddings, birthdays, debuts, reunions, etc. – P35,000 for first 8 hours, P1000 for every succeeding hour thereafter. Maximum 120 pax. 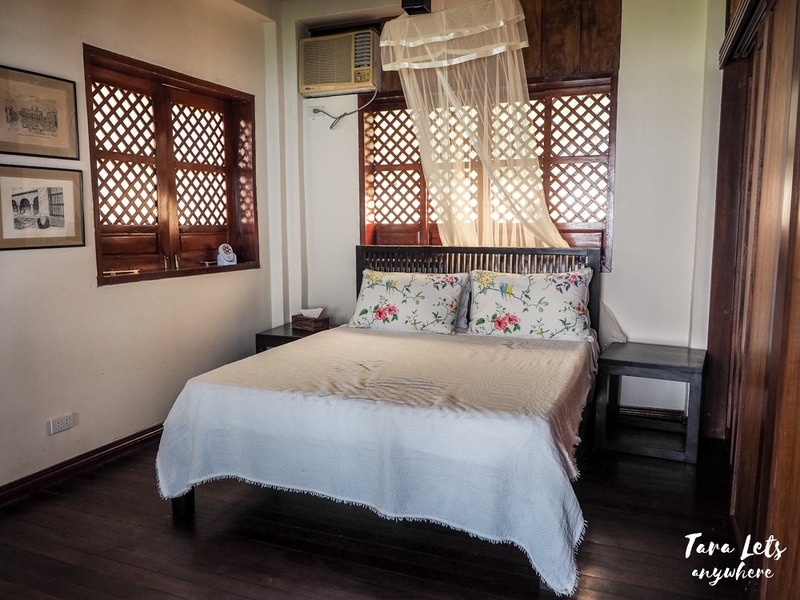 Pre-nup/pre-debut shoot or day tour for 8 hours, with usage of one bedroom – no aircon P6000 / with aircon P8000. Up to 10 pax. There are 3 bedrooms (queen, twin and loft room) in the farmhouse. 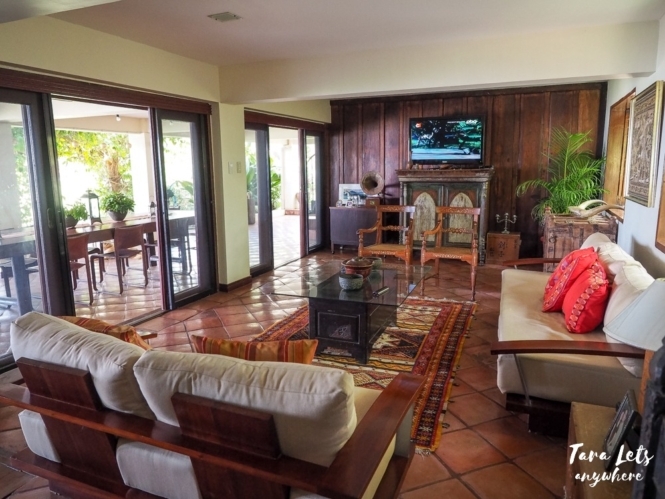 You can rent by room(s) or rent the whole farmhouse for exclusive stay. 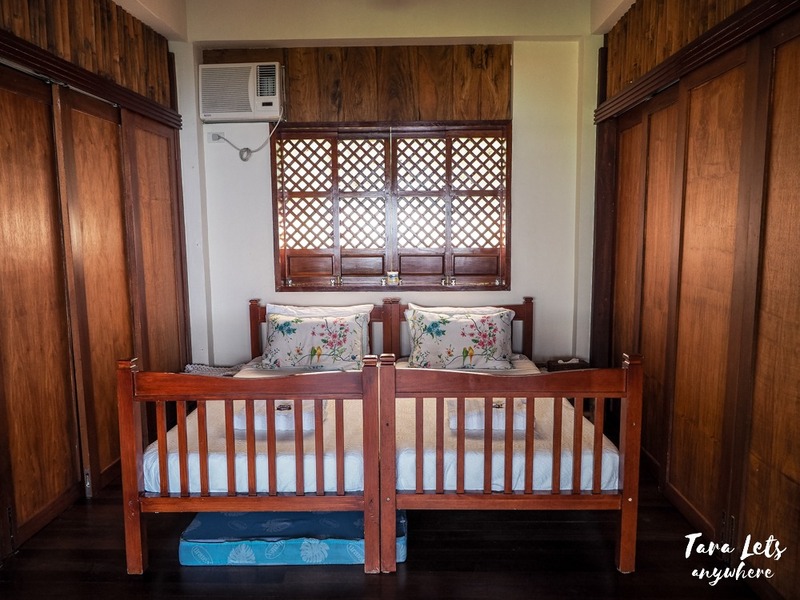 Additional person sharing room and sleeping on folding bed with mattress – P800/pax with complimentary breakfast. Max of 3 additional people. Check in time is 2PM and check out at 12 noon. Check in/out times can be negotiated depending on whether there are other guests booked before or after your stay. You can bring your own food (free use of kitchen) or ask the caretaker to cook for you for a minimal fee (P250 + P50 for gas for buying ingredients). Smoking is allowed only in the gardens and al fresco areas. Bringing of pets is not allowed. As of our visit (March 2019), there is no wifi in the area. Parking is available for 4-5 cars. 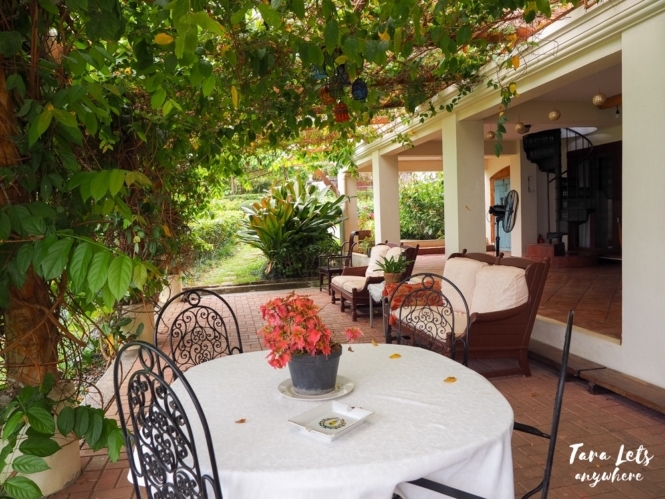 Book via Airbnb: whole farmhouse or see all listings (including individual rooms) | Sign up in Airbnb using this referral link and get P1600 initial credits! Or you can contact Ataalaya Farmhouse directly via Facebook. 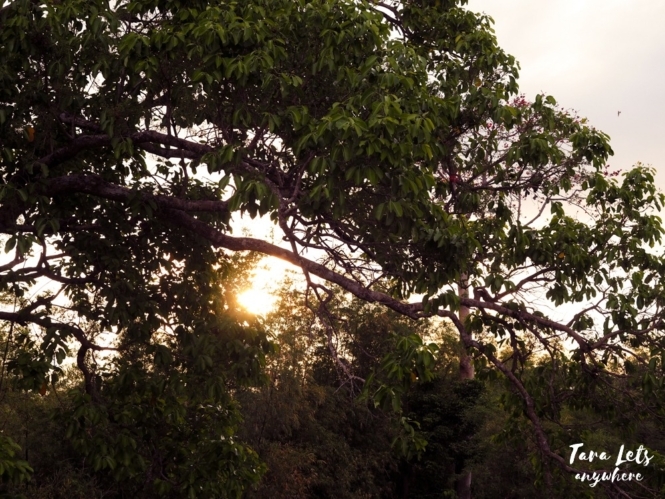 Disclaimer: Thanks Mrs. Patty Rodriguez of Ataalaya Farmhouse for hosting us! As always, thoughts and opinions are my own. Do you have any questions about Ataalaya Farmhouse? Let us know in the comments below! Hello po. I just wanna ask kung pano po process for day tour? Need pa po ba reservation or punta nalang po dun directly? Thank you po ng madami for this. The pavilion and the outdoor jacuzzi look surreal. I think it’s nice to spend summer there with family or a romantic getaway with my boyfriend. This is such a scenic place. I wish to have this kind of place someday! So relaxing, so green and so refreshing!